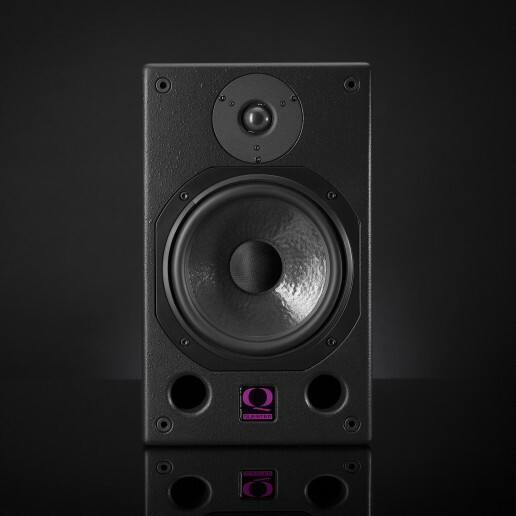 The H108 is the smallest of the Quested passive monitors. Primarily designed to be used in a nearfield or a meter-bridge position. It utilises a single 8” custom LF driver and silk soft dome HF with front firing ports. The hand built crossover network offers a very efficient and transparent passive network. Delivering an exceptional and accurate sound stage along with the ability to produce a high SPL when required, the H108 has become a favourite with the mastering and broadcast community. The H108 is also the monitor that Roger uses at home.